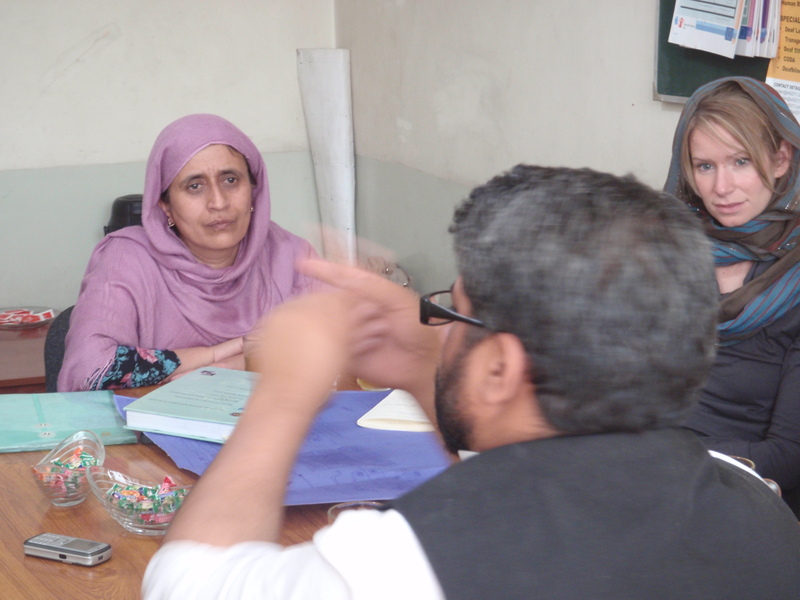 Two years after Mountain 2 Mountain first dedicated itself to working with the deaf populations in Afghanistan, a breakthrough. Land, glorious land. Not as easy to come by or inexpensive as you may think in a war torn region like Afghanistan. In fact its quite expensive, hard to find and even harder to get firm commitments even if you have the cold hard cash to purchase it outright. Harder still when you are looking for a land donation on which to build a school. Land is notoriously changing hands, it becomes a game of he who builds first, wins. There are many stories of land being donated in a village for school, yet in the time it takes to run things past a Board of Directors and in our case, raise the money, someone else may show up with cash in hand and the land is given to them instead. Its not surprising given the history of broken promises that the Afghans have endured during thirty-five plus years of occupation and conflict. Reconstruction and education is key to the future of this country, and while M2M is not a building-centric organization, in some cases construction is needed. In the case of the deaf population a sustainable and permanent structure that could house not only a school but a teacher training program for the future meant that the search must first start for land. Several avenues were pursued, until finally, last month a second visit with President Karzai yield a solid confirmation of a large parcel of land we visited last fall. Originally we were told we could have it for the reduced price of $60,000. Too steep for a small organization such as ourselves. We held fast, and this March had another meeting and secured the land for the bargain basement price of $0. 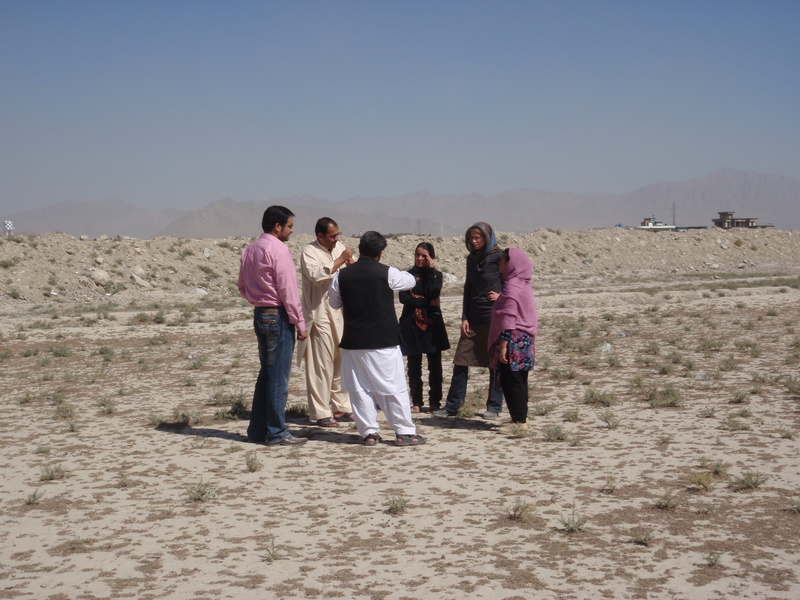 Two weeks ago an opening ceremony was held on the parcel of land to celebrate and to officially transfer over the deeds to ANAD – the Afghan National Association of the Deaf. 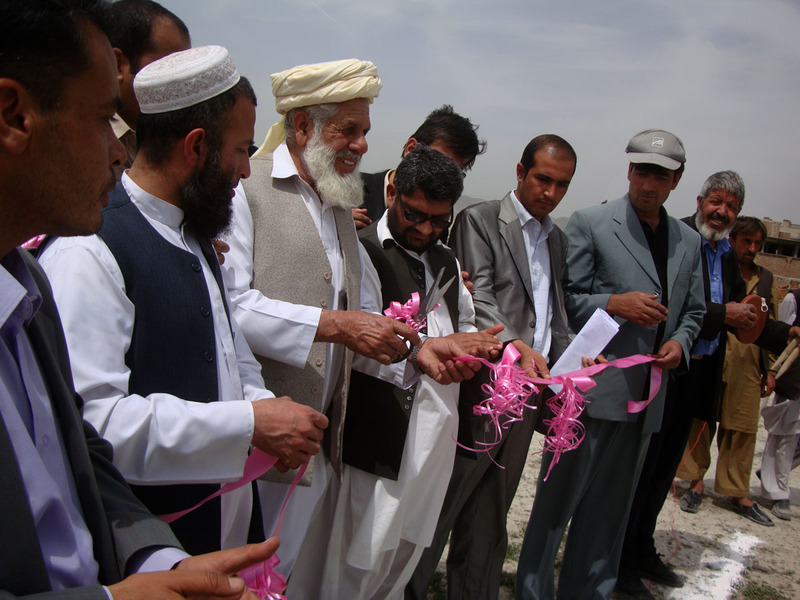 Government officials attended and cut the ribbon, and engineers marked out the land boundaries and marked with chalk. Last week a small trench was dug over the chalk to ensure the boundaries didn’t get washed away from rain and wind so that we can make preparations for our next steps. 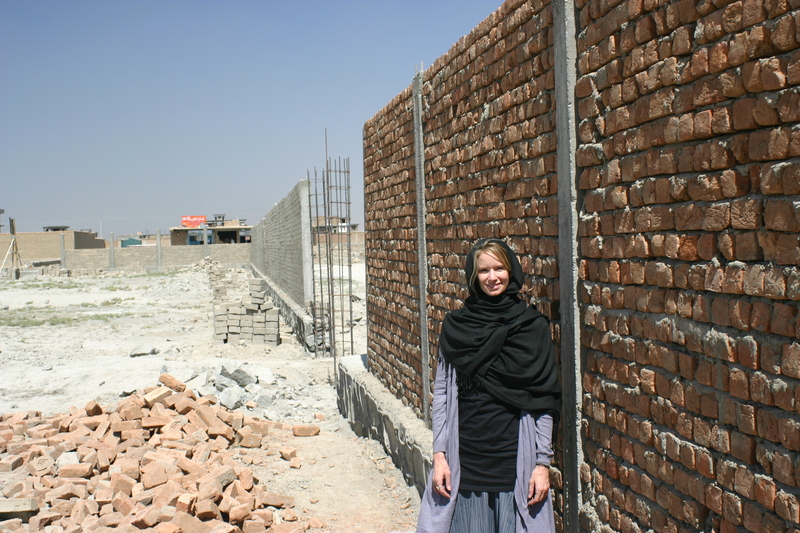 The immediate step is to raise $10,000 to build a perimeter wall on the boundaries. This is integral for any institution in Afghanistan for safety and to protect the land demarcation. 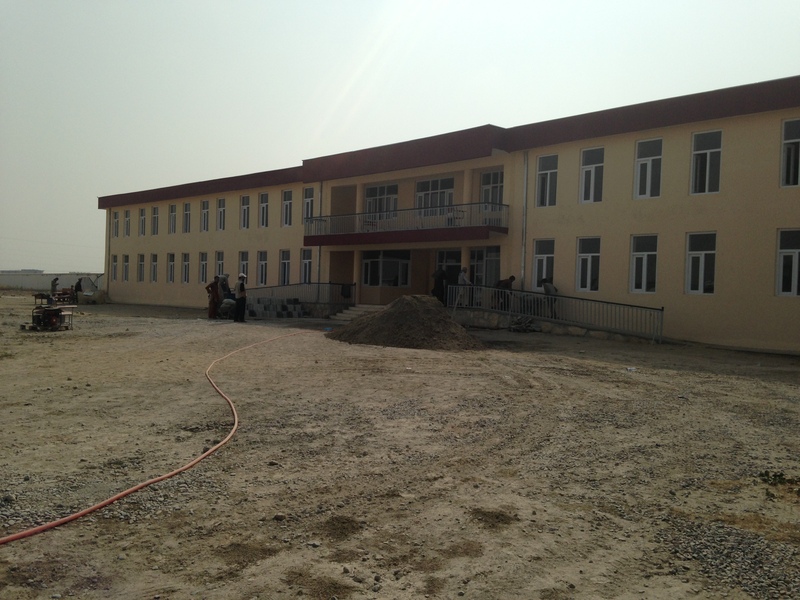 The wall and requisite security door ensures safety for the upcoming construction of the school and more importantly for the future safety of the teachers and students. While the wall is being constructed this summer we’ll be moving forward with design plans and raising the big chunk needed for the school construction. An estimated $200,000 is needed to build the school and now that we have the land, we are hoping to raise that in a few short months so that construction can start before winter hardens the ground. No easy task. Our excitement and commitment is with ANAD and the deaf children the future school will support! 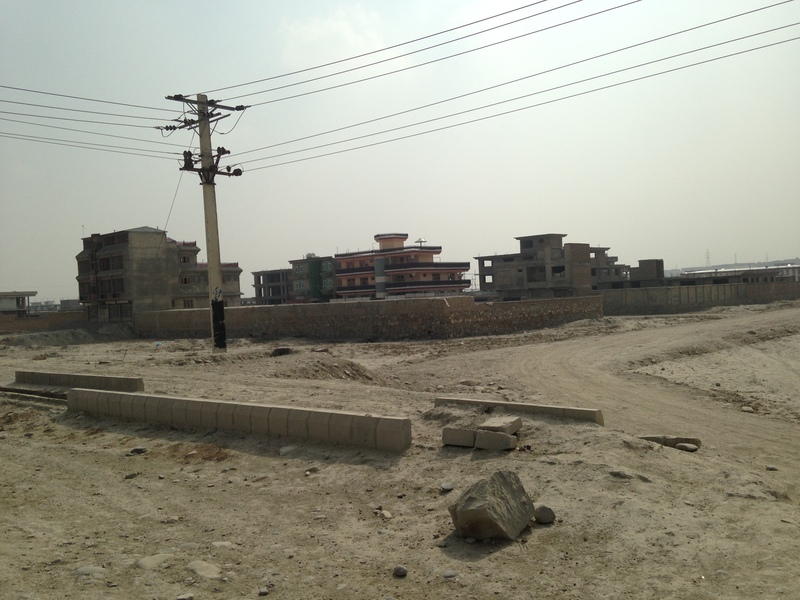 To read more about the realities facing the deaf in Afghanistan check out our previous blogs: Silence in Afghanistan and Hearing Literacy.